Royal Bank of Canada has announced what appear to be significant restrictions to its use of non-Canadian workers. Faced with a public relations crisis over reports some RBC workers are training their own replacements from low-wage countries, the bank announced a new “supplier code of conduct” on Friday that, if implemented, will likely change the way the bank uses foreign workers. But RBC “will not offshore work where salary savings is the primary reason and will make every effort to source in Canada,” the bank said in a statement. Suppliers will be required to "not hire foreign workers from outside of Canada, when performing services on behalf of RBC, where a worker eligible to work in Canada is available and able to perform the service." 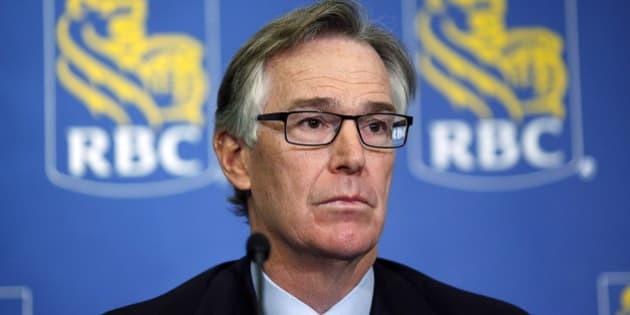 RBC's new supplier code of conduct was part of a package of promises made by RBC chief executive Gord Nixon in April following a controversy over the bank's decision to outsource the work of about 45 employees to iGate, which used the temporary foreign worker program. IGate brought its own employees into Canada under the federal program so they could be trained for the services they would be providing to Royal Bank. The bank's new supplier code says its suppliers adhere to human rights, labour and employment standards legislation. It also says suppliers must not hire foreign workers from outside of Canada, when performing services on behalf of RBC, when a worker eligible to work in Canada is available. The controversy over the temporary foreign workers program spilled over into the political arena prompting Human Resources Minister Diane Finley to ask officials to review documents submitted by iGate after apparent discrepancies appeared between public statements made by RBC and information previously provided to the government by iGate. Last month, the government announced changes to the program including an end to a rule that allowed businesses to pay foreign workers up to 15 per cent below average wages for a job. The Conservatives put a hold on a program that fast-tracked the ability of some companies to bring in workers from outside Canada through what's known as an accelerated labour market opinion.